Civil engineering firm, Volker Fitzpatrick, is a long-standing client of Mechan’s and we work together regularly on high profile rail projects around the UK. As part of an £895 million upgrade to Reading station, we were asked to help fit out a new train care depot, which was being constructed to replace the existing maintenance facility. We installed 17 of our flagship 20-tonne lifting jacks and an engine removal table at Reading. This takes the combined number of jacks used by operator, First Great Western and depot owner, Network Rail, to 120. The jacks were supplied with the latest version of our patented Microlink controller, to enable synchronised lifting from anywhere in the chain and provide the operator with constant feedback. 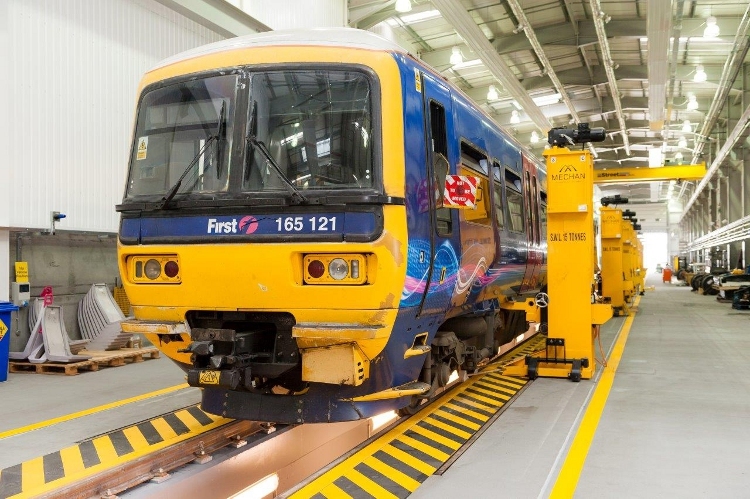 Our equipment was delivered on time and on budget, enabling the new train care facility to enter service as planned in 2013. It is used to stable and maintain rolling stock (class 165 and 166 trains) on the First Great Western line from Paddington, London. Our work with Volker Fitzpatrick continues and we are pleased to have completed three projects successfully in the last three years.